Portland, Maine-based rock/metal cult, ZUD, has announced a new run of Eastern US tour dates for this spring. 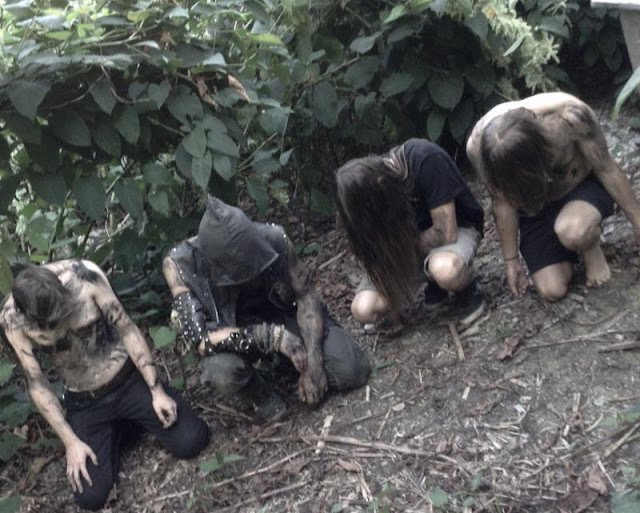 Presented by Lokvlt Productions, The Springtime In The Abyss Tour sees ZUD taking blazing style of sleazy-blackened and bluesy metal to fans across the Eastern Seaboard in support of their second album, A Wilderness Left Untamed. The raid begins with a tour kickoff show in Philadelphia on April 26th, followed by shows in Harrisburg, Chesapeake, Washington, Columbus, Pittsburgh, Montclair, and Providence through May 4th. ZUD has chosen their allies in T.O.M.B. and Gridfailure to join them on select dates, with Death Shroud, Snakefeast, Worthless, Malacath, Sanguine Moon, and more also performing throughout the venture. Stay up-to-date with updates via all event pages and tour details HERE. ZUD's second album A Wilderness Left Untamed was engineered and mixed by Todd Hutchisen (East Of The Wall, Falls Of Rauros) at Acadia Recording Co in Portland, Maine, and mastered by Carl Saff (Grails, RVIVR, Unsane) in Chicago, Illinois. Its ten new tracks boast an hour-long journey which will take the listener on a ride from one end of the rock universe to another, the record full of unexpected turns, all the while distinctly always very clearly recognizable as the output of ZUD. Stream ZUD's A Wilderness Left Untamed at THIS LOCATION. No Clean Singing offers of ZUD's A Wilderness Left Untamed, "It's brimming with ideas and bursting with energy. It's fiendishly clever, but never comes off as calculating or manipulative. It's ambitious, but not in the sense that, in the case of some other bands, could mean overreaching or even pretentious. It's just hugely effective in tapping into primal urges in the untamed way that the best of the devil's music always does, and it does that in very distinctive fashion." Cvlt Nation dubs ZUD, "one of the most criminally-unknown 'black metal' bands in the world," and Wonderbox Metal states, "Combining both first and second wave influences with plenty of equally old-school rock and metal elements probably shouldn't work, but ZUD make it look like the most natural and easy thing in the world... ZUD create a hybrid beast that successfully manages to sound like itself and little else, especially anything else around these days..."